Is Chickenpox a Virus or Bacteria – Chickenpox is one of the most common childhood diseases. Caused by viruses, it can be highly contagious to those who have never been affected by it before or to those who have not received the vaccine. Chickenpox is characterized primarily by the appearance of red blisters on the skin, scattered throughout the body, which causes itching and other symptoms. Is Chickenpox a Virus or Bacteria? Children are more likely to have chicken pox, especially before age 10. The disease is usually mild, although serious complications may occur in some cases. Usually, adults and older children become more seriously ill than younger children. The children of mothers who had chicken pox or children who received the vaccine are less likely to get the disease before the first year of life. If the disease occurs in the first year of life, it is usually mild. This is due to the antibodies present in the mothers blood that protect the babies. 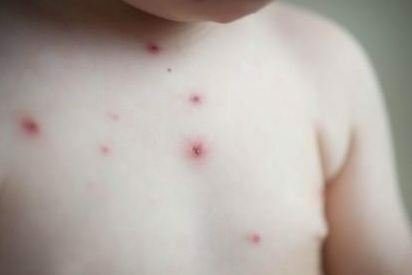 Children less than 1-year old whose mothers did not have chickenpox or who were vaccinated may have a more severe version of the disease. Being exposed to the virus through contagion with infected people is the main risk factor for chicken pox, especially if the person has never contracted the disease and never been vaccinated. Once you have had chickenpox, the disease will have a small chance of recurring in your body. The same happens in the case of the vaccine: once vaccinated, very small will be the chance to contract the disease. Chickenpox is caused by the varicella-zoster virus, a member of the herpes virus family, which is also responsible for shingles (shingles) known as shingles in adults. Chickenpox is easily transmitted to other people. Contamination occurs through contact with the bubble fluid or through coughing or sneezing. Even those who are infected and do not have the symptoms of the disease can transmit it. When someone is infected, the chicken pox takes 10 to 21 days to manifest. People can transmit the virus from a day or two before the disease erupts in the body. They remain contagious while the crusty blisters are present. The diagnosis of chickenpox is usually made only by physical examination. A simple analysis of the medical history and observation of the symptoms, especially if there are occurrences of eruptions in the skin, it is enough for the doctor to correctly perform the diagnosis. If in doubt, blood tests and tests involving skin collection or secretion may be performed on the blisters themselves. Next post Do You Eat Pomegranate Seeds?